1. Identify your emotions. As a first step, write down the feelings that now regularly surface. Record what's happening between you and your partner when you are sad, scared, overwhelmed, embarrassed or frustrated. Chances are you have emotions ranging from disappointment to anger, and these may be constantly changing. Don't worry - this is normal. Understanding what you feel, and why, can be the first step toward improving your situation. 3. Limit your arguments. If the situation between the two of you is tense, small annoyances can seem worse than before. When you argue, allowing bad feelings to fester only makes it harder. Don't turn your quarrel into something more or attach your reactions to another issue. Agree that you will together explore the problems. And spend time learning about conflict resolution, direct communication and active listening skills. There's information available through relationship workshops, the Internet and the self help section in bookstores. 4. Begin a process of serious talking. Can't do it alone? If you really want to work out your differences, consider consulting with a marital therapist or joining a couples' support group. When you understand more about the other's needs and capabilities, you'll be clearer about compromises you have to make. Then it will be up to both of you to decide whether you're willing to do the hard work. That may include efforts to change your current expectations, redefine what marriage means to you and create new goals for the relationship. 5. Support each other. Instead of focusing on the negatives or going your separate ways, spend time discussing what you want from one other. Think about what would demonstrate true emotional commitment to you. Prove that you are on each other's side by deciding to change your attitude and behavior. Invest in your marriage's emotional bank account. Create excitement, pleasure and fun together - then take advantage of the dividends. 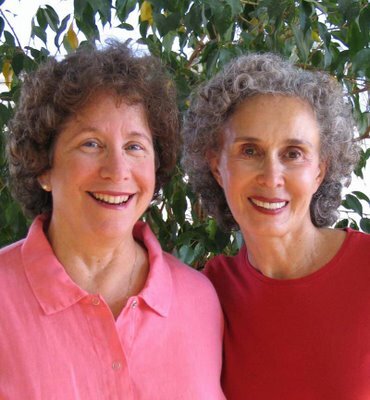 Phyllis Goldberg, Ph.D. and Rosemary Lichtman, Ph.D. are family relationship experts with a 4-step model for change. Whether you're coping with stress, acting out teenagers, aging parents, boomerang kids or difficult daughters-in-law, we have the solutions for you. Visit our website, http://www.HerMentorCenter.com to discover practical tips for dealing with parents growing older & children growing up and to learn about our ebook, "Taking Control of Stress in a Financial Storm." Log on to our blog, http://www.NourishingRelationships.blogspot.com and sign up for our free newsletter, Stepping Stones, and complimentary ebook, "Courage and Lessons Learned."